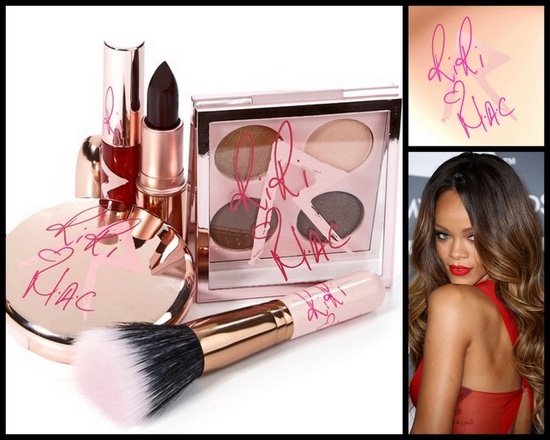 Superstar singer Rihanna has landed a pretty sweet deal, (today) on her Birthday nonetheless, with MAC Cosmetics. MAC and Rihanna have collaborated on several color collections launching this year, according to WWD. The first item out: RiRi Woo, a lipstick inspired by her favorite MAC red, Ruby Woo. For MAC, it marks the first time the brand has worked with a celebrity on more than just a one-off Viva Glam product. And for Rihanna, the deal enabled her to be a makeup artist. I’ve always been a M.A.C. girl, so this is good to hear!